Construction Site Theft Costs Billions Each Year! Experts agree that construction site theft is on the rise. Businesses, consumers, and taxpayers alike end up sharing the burden for these thefts, which drive up the cost of materials and labor. The National Association of Home Builders estimates the annual cost of construction theft to $5 billion, a number that will surely continue to increase. With the Worksite Hawk, there’s a solution to these problems. 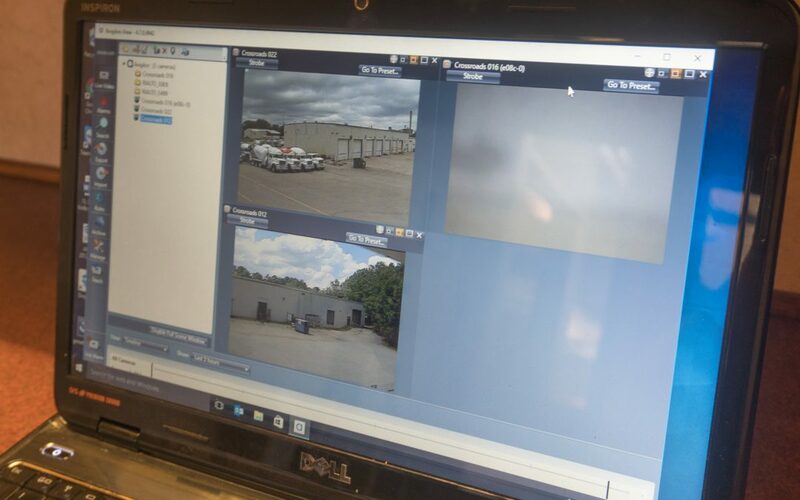 The Worksite Hawk features a 360 degree PTZ camera that offers a comprehensive view of the area around the unit, as well as sophisticated video analytics that identify security threats and send instant notifications to the user. Jobsite Theft is History with the Worksite Hawk! The word is getting out. On a recent business trip, Keith Niehaus, one of the designers of the Worksite Hawk, found himself visiting a Worksite Hawk user in Colorado. What he heard from his client was shocking. “Until early this year, he had been experiencing a theft about every three months,” Keith said. Each theft was costing the business staggering sums, between $3000 and $5000 per robbery. The customer never filed a claim due to concerns that his insurance rates would skyrocket. Costs began to mount. Tired of suffering such huge losses, the customer purchased a Worksite Hawk after seeing it at the famous World of Concrete exhibition. The effect on his operation was striking and immediate. Results like these make the Worksite Hawk an essential piece of security equipment for any owner or operator. By preventing and solving thefts, the Worksite Hawk quickly pays for itself. But the money saved by its security capabilities isn’t all the Worksite Hawk has to offer. The unit’s video camera helps the diligent user keep an eye on his operation, from employee activity to supply deliveries. Its solar-powered battery bank ensures continuous, maintenance-free operation, while the camera stores an astounding 200 days’ worth of footage! To see about renting or purchasing a Worksite Hawk, or to schedule a live FaceTime or Skye demonstration, call us at 319-415-1226, or email us at sales@CrossroadsMfg.com. The Worksite Hawk: Convenience at Your Fingertips!